Produce debugging information in DWARF format (if that is supported). This is the format used by DBX on IRIX 6. The value of version may be either 2 or 3; the default version is 3. Selection can be a symbolic event name (use perf list to list all events) or a raw PMU event (eventsel+umask) in the form of rNNN where NNN is a hexadecimal event descriptor. monitor only in the container (cgroup) called "name". This option is available only in per-cpu mode. The cgroup filesystem must be mounted. All threads belonging to container "name" are monitored when they run on the monitored CPUs. Multiple cgroups can be provided. possible to provide an empty cgroup (monitor all the time) using, e.g., -G foo,,bar. Cgroups must have corresponding events, i.e., they always refer to events defined earlier on the command line. ·   flat: single column, linear exposure of call chains. 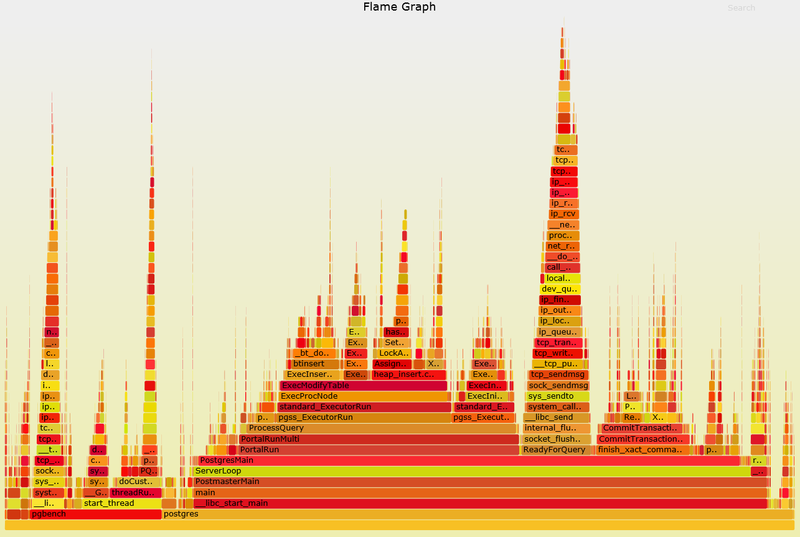 ·   graph: use a graph tree, displaying absolute overhead rates. ·   fractal: like graph, but displays relative rates. Each branch of the tree is considered as a new profiled object. commands, the stdio interface is used.